Who? Perhaps Ireland’s best known contemporary artist, Dorothy Cross came to prominence internationally with her slightly disturbing Virgin Shroud, 1993, now held at Tate Modern. Like a lot of Cross’ work, it is a fusion between the surreal and the functional, in this case a cow’s udder stitched together with silk from her grandmother’s wedding dress and draped over a plaster cast, teats perched atop to form a headdress, a halo or a set of horns. Brutal and elegant at once the shroud creates a hidden figurative presence where the tough hide of the animal warps and folds; it is suffocating, unsettling and strangely beautiful, and rich with a deeply personal symbolism – a trademark of the artist’s work throughout her career. What? 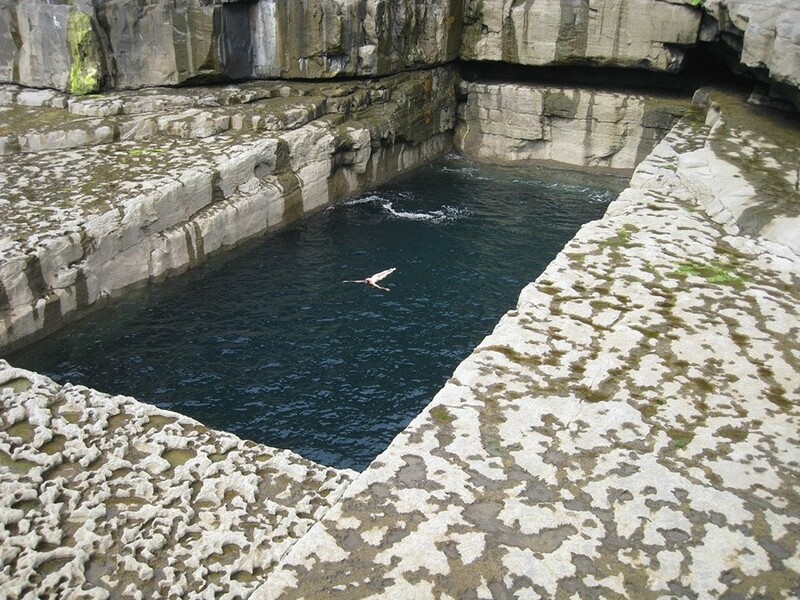 In 1999, Cross created a mesmerising presence off the coast of Scotsman’s Bay in Dublin. Using a reclaimed light ship tradionally posted along the coastline to alert sailors to dangerous reefs where it floated idly in the sea, the ship was painted with luminous paint to glow in the darkness. Equipped with time sensitive lights, the 'Ghost Ship' would light up and descend into the eerie half-light of the harbour at intervals throughout the night, leaving an impression that lingers long in the collective memory of many a Dubliner who gathered all along the coastline to bask in its mythmaking. Why? Indebted greatly to her home on the cusp of the Atlantic Ocean, Cross’ work lies at the interplay between the cultural and the natural. In many ways beauty is the conduit, and so her site-specific work can be spellbinding. She has staged an opera in an abandoned mine on an island off the west coast of Ireland, and has filmed the actress and childhood friend Fiona Shaw engaged in conversations on the meaning of art, in a room full of whale bones and tortoise shells in the Galapagos. She has hung the skeleton of a 25ft sun-bleached whale, found on the beach beneath her house, from the ceiling of the sculpture galleries amongst the marble greats, showcasing a playful reverence. A recurring image, that of the shark, finds its way to London’s Frith Street Gallery for Cross’ latest show, where the preserved eye of a shark is held in a reliquary and hidden within the wall of the gallery. Some retrospective imagery adorns the walls while new work, the carcass of another shark lined with white gold is placed atop an artists’ easel while a bronze sculpture of the beast lies almost entangled with a submarine on the floor. With them, the room evokes the preternatural presence of her most accomplished work. Dorothy Cross: Eye of Shark runs until December 23, 2015 at London's Frith Street Gallery.